Ice cream is a delicious dessert, but probably not something you want to eat daily if you are trying to get healthy. Though one pint seems small it actually contains four servings. It may be time to introduce an alternative If you often find yourself at the bottom with no idea where all of the ice cream went. Banana ice cream, or ‘nice cream’ as it is sometimes called, is a healthy ice cream alternative made by blending frozen banana slices in a blender to yield a smooth, creamy, and naturally sweet treat. You can add any other flavor you like. 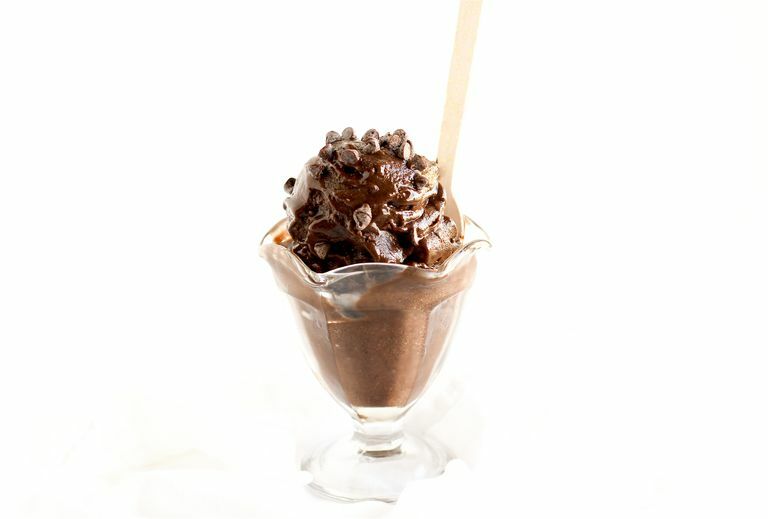 This mocha chip banana ice cream is blended with coffee and dark chocolate and swirled with mini chocolate chips. It’s vegan if you use dairy-free chocolate chips, and it’s the perfect healthy dessert for when you need something cool and creamy. As a bonus, you also get a serving of fruit and antioxidants in your dessert! In a high-powered blender or food processor, blend all ingredients except for chocolate chips. You may need to add more milk to get bananas to blend. Serve immediately, or for a firmer consistency, pour into a shallow container and freeze 10 to 15 minutes before scooping. For vegan and dairy-free, use vegan chocolate chips and dairy-free milk. Bananas will take a little while to blend. Be patient and add milk by the tablespoon as needed.